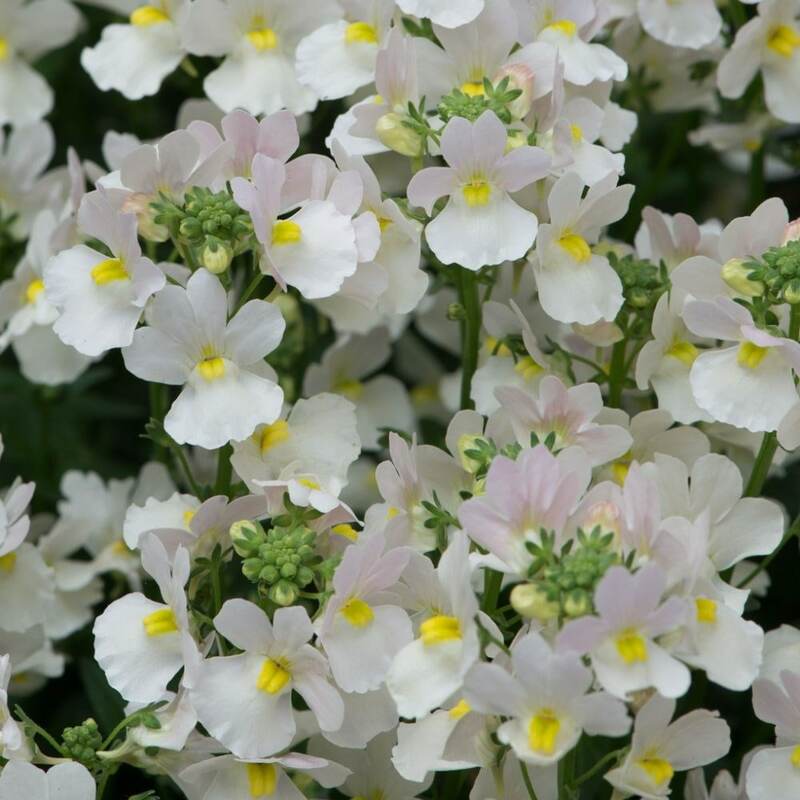 Buy Nemesia 'Wisley Vanilla' nemesia: A short and very compact variety. 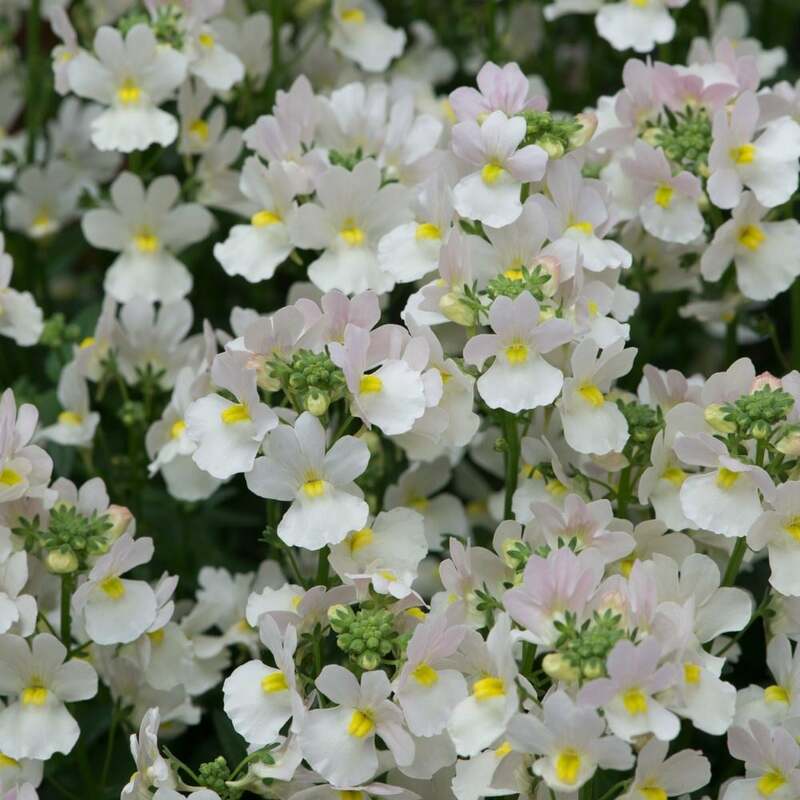 Pretty pale pink flowers with a bright golden eye from May through to November. A short and very compact variety that is great for adding colour to the front of a sunny garden border or in pots on the patio. In colder areas some winter protection is needed.